Dykket was released (Norway, 1989). George Briggs’s story of the oleander tree on International Picnic Day. If The Last Contract were set in 1920’s London. each day is good for one’s health. Our intelligence agencies and their partners must be having one heck of a day thanks to the loose cannon occupying the White House. [Trump] is thus the all-time record-holder of the Dunning-Kruger effect, the phenomenon in which the incompetent person is too incompetent to understand his own incompetence. – “When the World is Led by a Child“, David Brooks. 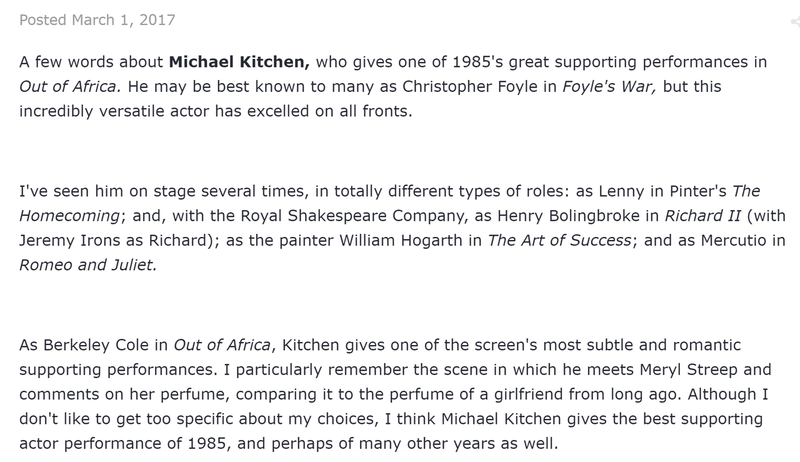 Michael Kitchen lived very close to where I grew up in the UK. I was awestruck when he visited my fathers farm one day on business. He was incredibly nice and signed my making of Goldeneye book for me. He did seem genuinely shocked to be recognised. 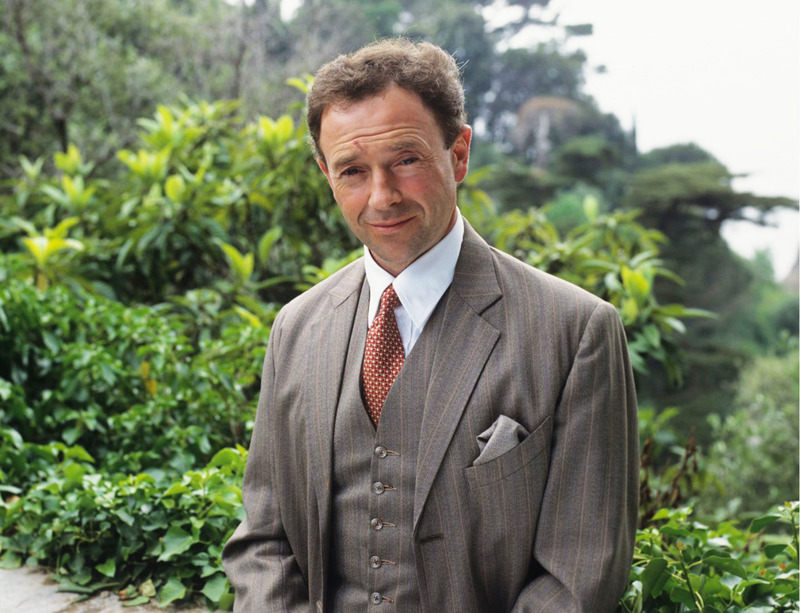 This was before he become more well known in Foyles War. Michael Kitchen visiting your family’s farm? How does one get so lucky?! 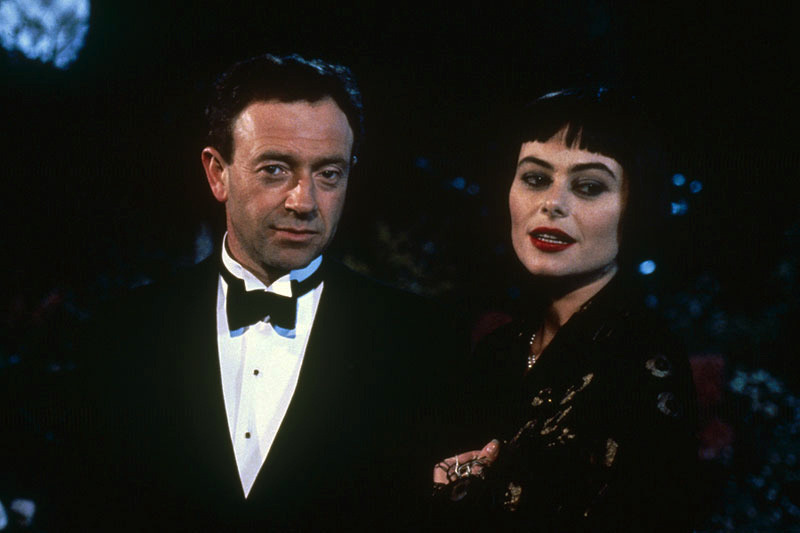 A shame Michael Kitchen had only brief appearances in two Bond films. 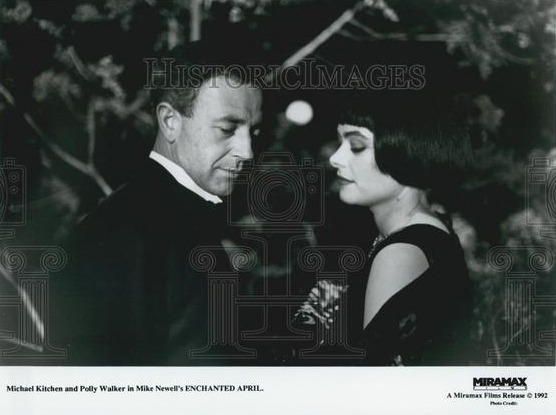 Enchanted April received Oscar nominations for Best Supporting Actress, Best Writing, and Best Costume Design in 1993. Just finished reading Circling the Sun, Paula McLain’s historical novel about the remarkable Beryl Markham. The book makes an interesting companion piece to Out of Africa given Markham’s close friendship with the film’s protagonists. 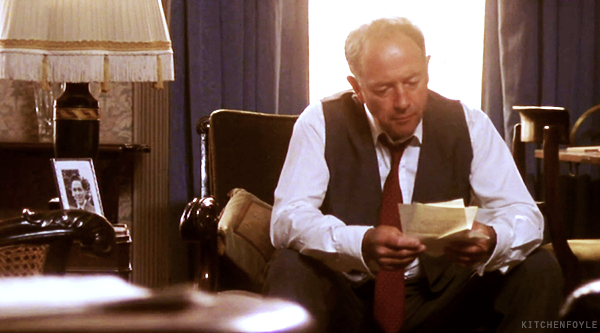 I’ve watched Out of Africa so many times, that I had to deliberately shove Meryl Streep out of my head to write Karen Blixen, and Robert Redford out of my head to write Finch Hatton, but Michael Kitchen—who played Berkeley Cole so memorably in the film, wouldn’t leave. I had his face and voice hovering in every scene in which he appears.